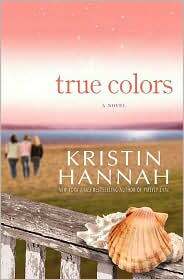 I've read most of Kristin Hannah's books for a reason. I get thoroughly involved in her stories! I find her characters to be human and the dialogue realistic. I felt connected and involved with the people in True Colors. I cared what happened to them and I cried along with them. I know for a fact that horses can help a person through the darkest of times. The author captured that type of healing bond beautifully. The sisters had their rough spots and true love and devotion was tested, but it all came together so beautifully in the end. I'm quite jazzed about my most recent song purchases. Not many, but they are all excellent!